The DoC also functions as the focal point in Sri Lanka for joint commissions on trade and economic co-operation which have been established under trade agreements. These joint commissions provide a mechanism for inter-governmental cooperation in trade relations which is extremely beneficial for the development and expansion of Sri Lanka’s exports to the countries concerned. The DoC is responsible for bilateral trade negotiations under these joint commissions from the stage of their formulation, and with respect to coordination of their work and implementation of their decisions. The scope of these Joint Commissions is comprehensive ranging from trade, banking, and shipping to co-operation in education, science and employment. 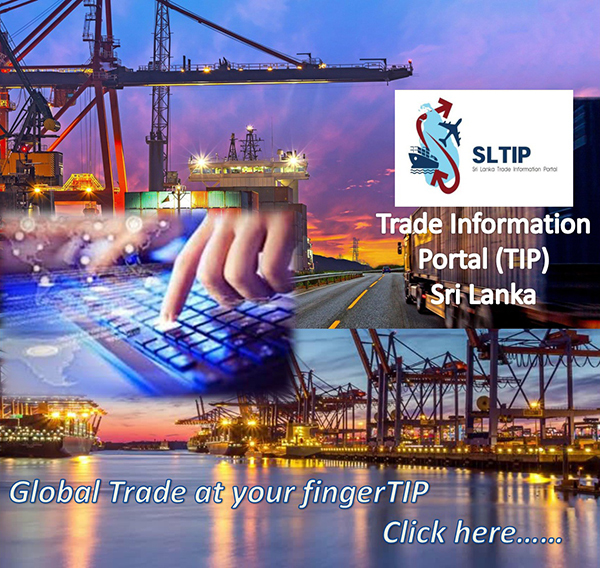 Activities undertaken in this context apart from contributing to the promotion of Sri Lanka’s trade are intended to foster mutual understanding and co-operation between participating countries and their respective public and private sector agencies. The Department of Commerce is responsible for co-ordination and conduct of the following Joint Commissions/Committees, which are held at ministerial level. The last meeting of the Sri Lanka-Bangladesh Joint Commission on Economic Co-operation was held in Colombo from 30th to 31st March 1993. At that Session, possibilities in various fields for Bilateral Trade and Economic Co-operation, including industry, agriculture, and civil aviation, cultural and technical co-operation were discussed. As a result of the Third Session, Sri Lankan Airlines and Bangladesh Biman, have concluded a Commercial Agreement to establish an air-link between the capitals. The 4th Session was to be held in Dhaka. However, due to political disturbances in Bangladesh, as well as the operationlization of SAPTA, BIMST-EC and Bangkok Agreements, the Fourth Session of the Joint Economic Commission has so far not taken place. The 4th session of the Sri Lanka - Maldives Joint Committee was held in Colombo on 24th & 25th February, 1995. During the meeting both sides reviewed the existing bilateral economic and technical co-operation and expressed satisfaction with the growing interaction between the two countries. Consequent to the 4th Session, the Department of Labor in Sri Lanka trained a number of officials of the Government of Maldives at the latter’s request. The importance of the Trade Agreement signed between Sri Lanka and Maldives has been superseded by SAPTA. The Sri Lanka-China Joint Committee is one of the most important bilateral arrangements conducted and co-ordinated by the Department of Commerce. The Second Session of the Joint Commission was held in Beijing in March 1996. The Sri Lankan Delegation was led by the Hon. Minister of Internal & International Commerce and Food and the Chinese delegation by H.E. Madam Wu Yi, Minister of Foreign Trade and Economic Co-operation. Subsequent to this Joint Committee Meeting, HE Mr. Zhu Rongji, and Chinese premier visited Sri Lanka in May 2001 and took up some of the matters came under the Joint Commission. Sri Lanka has been enjoying a long history of trade relations with China, which dates back to several centuries. The period beginning 1952 marked a new chapter in trade relations between the two countries with the signing of a Trade Agreement and a Five-year Trade Agreement relating to rubber and rice in 1952. Until 1982, trade and payment Agreements were negotiated every 5 years, which provided the framework under which trade between the two countries was conducted. Annual protocols signed under these Agreements provided for the barter of rice and rubber. Two sets of clearing accounts were maintained with their respective Central Banks, in order to channel barter transactions. Sri Lanka and Pakistan signed a Bilateral Trade Agreement in 1984. The last Session (9th Session) was held in Colombo during 12 - 13 May 2005 at the Commerce Ministers level. During the 9th Session, Diplomatic Notes confirming to each other of the completion of the domestic legal procedures were exchanged for implementation of Pakistan - Sri Lanka Free Trade Agreement. Discussions were held on a wide range of subjects such as trade and commerce, investment, industries, credit facilities, air port and shipping services, technical assistance tourism etc. Sri Lanka was able to secure technical assistance from Pakistan in a wide range of fields including university education, commercial banking, central banking, railways, postal and telecommunications. Pakistan also agreed to Sri Lanka’s request for utilizing Pakistan’s new credit line of US$ 10 million for import of genetic materials by the Department of Animal Production and Health and to import merchandise by the STC General Trading Company. Both countries agreed to cooperate with each other on trade and investment promotion, air services, port and shipping, tourism, science and technology etc. Sri Lanka-Egypt trade had been transacted in free convertible currencies up to 1954, in which year both countries switched over to a "barter system" of trade that was conducted through a trade and Payments Account. The conduct of trade on barter prevailed up to the mid 70's until a new Bilateral Trade Agreement was signed in 1977, which did away with the barter system and facilitated the conduct of trade in a more dynamic manner. The new Agreement embraced hard currencies as the medium of settlement of trade exchanges. With a view to further strengthening bilateral relations, Sri Lanka and Egypt signed in 1987 an Economic and Technical Co-operation Agreement which paved the way for setting up of a Joint Commission and sub committees in order to address broader and specific trade issues. Consequently, in 1990, the first session of the "Joint Committee on Trade" was held in Sri Lanka. Subsequently both governments agreed to upgrade the Joint Committee on trade to the level of a Joint Commission to be co-chaired by the Trade Ministers of the two countries. The Ministerial level Joint Commission is expected to achieve the highest possible outcome through a more co-ordinated and integrated approach. Accordingly, the first session of the new Joint Commission on Economic & Technical Co-operation between Sri Lanka and Egypt was held in Cairo in 1996 at Ministerial Level. The 8th Session of the Sri Lanka - Romania Joint Committee for Economic Co-operation was held in Colombo in December 1991. At this meeting, a draft Agreement on Trade, Economic & Technical Co-operation between the Government of Sri Lanka and the Government of Romania was negotiated. The new draft Agreement incorporated the basic objectives of both the Trade Agreement of 1975 and the economic & Technical Co-operation Agreement of 1968. The Ministries of Foreign Affairs & Finance have given their concurrence to the new draft for which Cabinet Approval has already been obtained. The Agreement is anticipated to be signed at the forthcoming Joint Committee for Trade and Economic Co-operation. This Agreement would be signed by the respective Ministers on a date mutually agreed by Romania and Sri Lanka in Bucharest. The Trade and Payment Agreement between Iran and Sri Lanka signed in 1962 was replaced with a Joint Commission for Economic and Technical Co-operation signed in 1987. Trade thereafter between the two countries has been conducted within the purview of the Joint Commission. There have been Seven Joint Commission meetings, since 1997 and the Eighth Session was held in Tehran, Iran from 27 - 28 May 2006 at the Trade Ministers level. During the Ninth Session held in Colombo 13th - 15th September 2010, both Iran and Sri Lanka recognized that the present trade pattern, though somewhat modest, provides for considerable room for expansion of trade between the two countries. In securing greater market access for Sri Lanka's main export item of tea, both sides discussed the establishment of quota/tariff for import of tea from Sri Lanka. Sri Lanka requested that this quota should reflect Sri Lanka's market position and a part of it to be allowed to be exported in pre-packed form from Sri Lanka. This was necessitated as the Deputy Minister of Commerce of Iran stated that Iran has banned import of tea to Iran, just prior to the commencement of the Joint Commission. The Trade Agreement signed between Sri Lanka and Iraq in 1975 provides for a Joint Committee on Economic and Technical Co-operation and its first Session was held in Colombo in March 1979. The 7th Session of the Sri Lanka - Iraq Joint Committee for Economic and Technical Cooperation, which was held in Colombo 21-22 October 2010, concluded successfully with the establishment of Committees to study various areas of cooperation.